Book in One Word: Good! I'd been putting off reading If I Stay for quite some time. For a while it was because I just never got to it, but then it was because I thought I would cry All The Tears, and after The Fault in Our Stars I didn't want to do that. But it was kind of ridiculous that I'd met Gayle Forman two times (now three) and still hadn't read any of her books. Then the first trailer for the If I Stay movie premiered (talk about an excellent trailer), and that was it: that night, I picked up my copy and finally started reading If I Stay--and a Gayle Forman book. 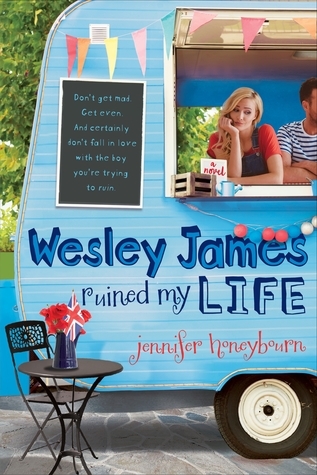 There wasn't anything I really disliked about this book. I didn't love the writing, but it wasn't bad, either. (I've heard a lot about Gayle's writing, so I think I kind of wondered what all the fuss was about?) Not that I didn't like If I Stay but I may have liked it more if I would've read it sooner. This book published over five years ago. I've read so much since then (and some similarish story lines, like Before I Fall), and this book just fails to stand out amongst them. I think that's the biggest thing for this book, what stopped me from loving it. Five years ago, this book was probably gold. But over time, gold can tarnish, and that's the case for If I Stay, at least for me. All that said, I liked If I Stay, it was a good book, and it definitely had its strong points. I liked the story and how we see it in two points: Mia as a "ghost" and in the hospital, and Mia before the accident. You get to see the past catch up to the present and see what Mia wanted in her future. You see the start of her and Adam and see their relationship progress. You see her play the cello. You see her surrounded by the people who love her, her friends and family. And you see her as she tries to decide: does she stay, or does she go? The characters were such a great part of this book. Mia was a good narrator, and she wasn't really an annoying character. I loved Adam, and I loved her and Adam together. She also has a great best friend, Kim. But the characters who really stood out were Mia's parents. Sometimes in books, parents are just there because they're the parents and they have to be. But sometimes, parents in books really stand out, and that was the case here. (And it may have also been because I loved what I saw them in the trailer.) They were just so fun and not boring and they were well done and memorable. I loved that. I don't want to say too much about this book because of spoilers, but I will add that reading this was kind of like a puzzle because you want to know how on earth it's going to end. As I'm sure you know, there's a second novel, Where She Went. (If you haven't read If I Stay don't read the synopsis, because it's a total spoiler.) 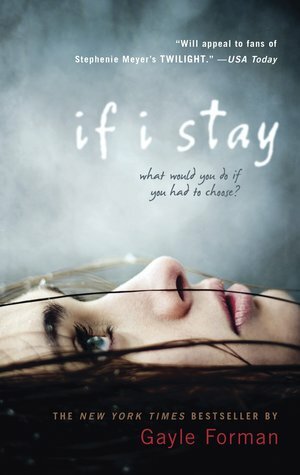 As I read If I Stay, I was trying to figure out what the hell that title meant. I thought it was a spoiler. But really, the title could mean two things: how life went on and what everyone did if Mia left, or where Mia went if she stayed. Obviously I'm not going to tell you what happened. But seriously, that second book's title. I wanted Mia to say, but that title made me think she wouldn't, and just AHHH. OH OH OH--CRYING. I thought this book was going to make me cry All The Tears. IT DID NOT. Maybe it's because I was so prepared to or whatnot, but I didn't. Well, maybe a bit teary at one point, but still. Not the point. And the way If I Stay ends--THAT IS IT? THAT IS HOW IT ENDS? Well, then. Would I purchase it? I already own the paperback and the movie cover! Your review really made me think. I'm pretty sure I would have definitely enjoyed the book more if I read it 5 years ago. I still liked the book though. I think the only reason I was full on sobbing was because I listened to really sad music while reading some particularly sad scenes. I was spoiled (thank you internet -_-) for Where She Went, so whether she stayed or went was never a question for me. After reading the summary for the second book I didn't want to read it either because he left Adam and I liked Adam sooooooooo much. WHY WOULD SHE LEAVE HIM?? The guy is a sweetheart. You know I totally agree, I think I would have enjoyed this much more five years ago, before the hype and everything else. For me I thought it was good but it also kinda fell flat mainly because I knew how it was going to end so there was no real surprise there. I've also meet Gayle and still have yet to read one of her books. I really enjoyed the movie trailer though so I'm going to get on finally reading this one! Thanks for the helpful review =) I'll try and keep my expectations low so I can be pleasantly surprised.